Description Official pavement marking stencils can be had by your city government or the construction contractor they work with on the delivery of such markings. Typical Dimensions Consult the MUTCD for official guidance on dimensions for the appropriate facility type marking (bike lane, shared lane, etc.). 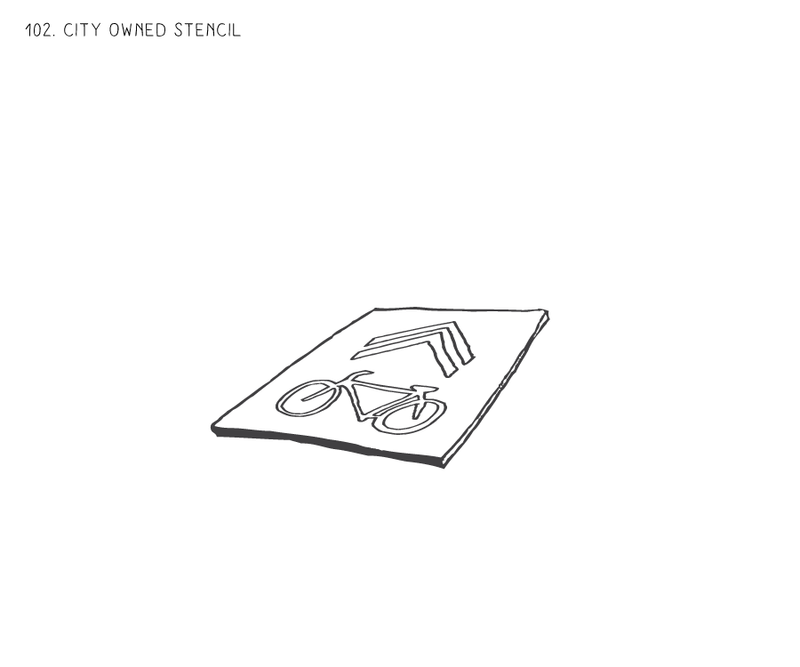 Estimated Cost Borrow / use city or contractor stencil. Shared Lane Markings Follow MUTCD guidelines to create a marking that measures 40 in wide. x 112 in. long (including chevron). Place sharrow marking in the center of the travel lane, a minimum of 11 ft. from curb where parking is present, or 4 ft. from the curb on streets with no curbside parking and apply spray paint, spay chalk, or sidewalk chalk. 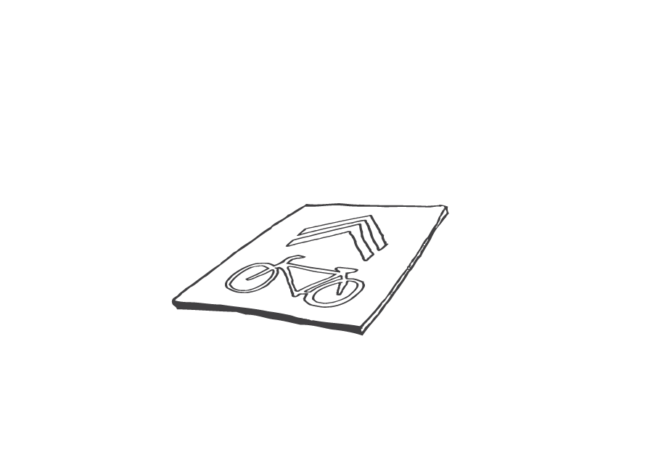 Bike Lanes Follow MUTCD guidelines to create a marking that measures 40 in wide. x 112 in. long (including arrow).Place marking in center of bicycle lane, at a minimum twice per block (start and end of the lane). Increased frequency should be based on local judgment (design speed, length of block, number of driveways etc.). Use of official (over handmade) stencil often yields more professional looking and accurate results. It's also less time consuming. Materials may vary (plastic, metal, etc.) but most stencils are flexible and easy to transport. Purchase from preferred pavement marking contractor should the city outsource this type of work. Source from transportation / public works department.